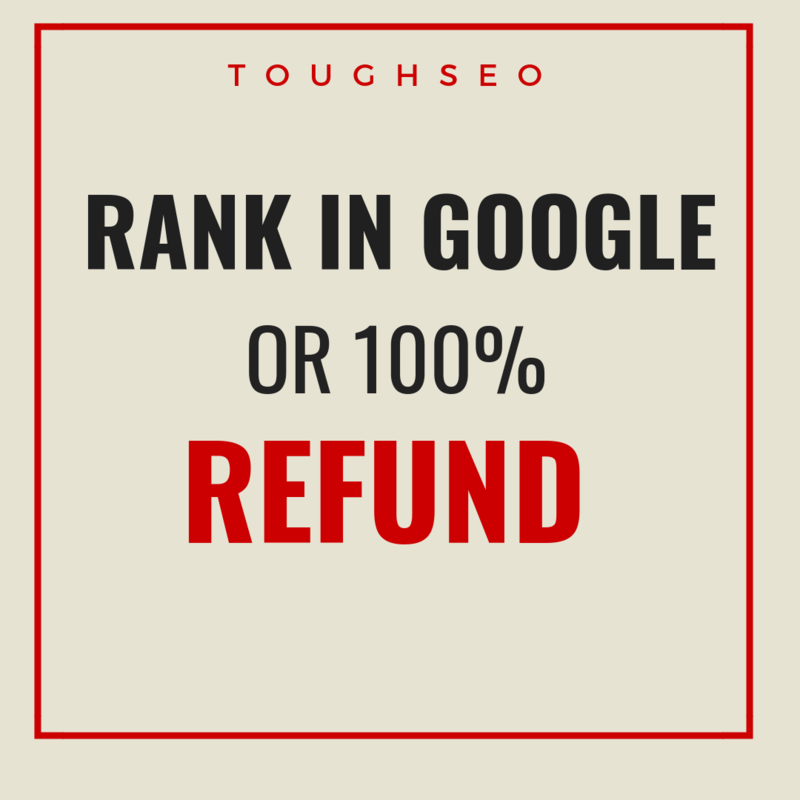 Note* Guaranteed Money Refund is for those whose website is ranked already in google top 100. 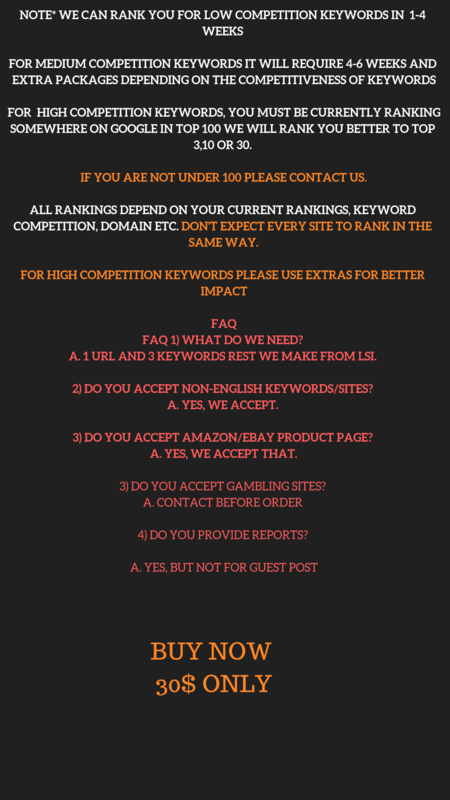 We, Will, refund the money if You see no ranking improvements in 30-45 days period. If Your website is Nowhere in the top 100, then we will rank your site to google first 100 with our SEO Service. No Money back guarantee for this. 1) What do we need? A. 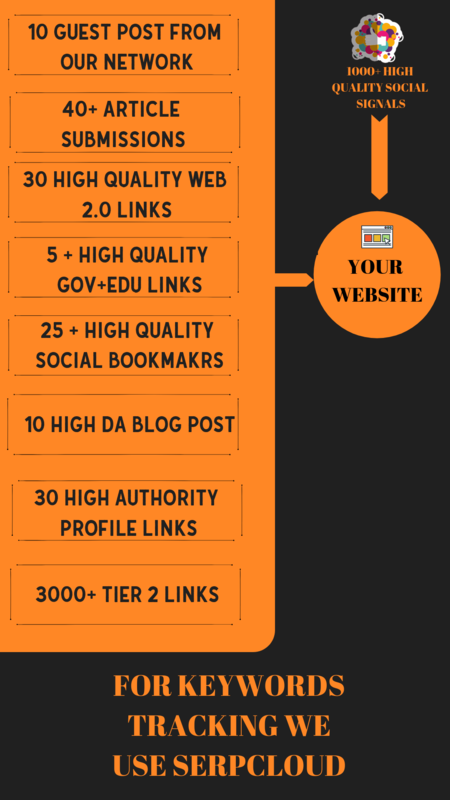 1 URL and 3 keywords rest we make from LSI. 2) Do You Accept Non-English Keywords/Sites? A. Yes, we accept that. 4) Do you accept gambling sites? 5) DO YOU PROVIDE REPORTS? 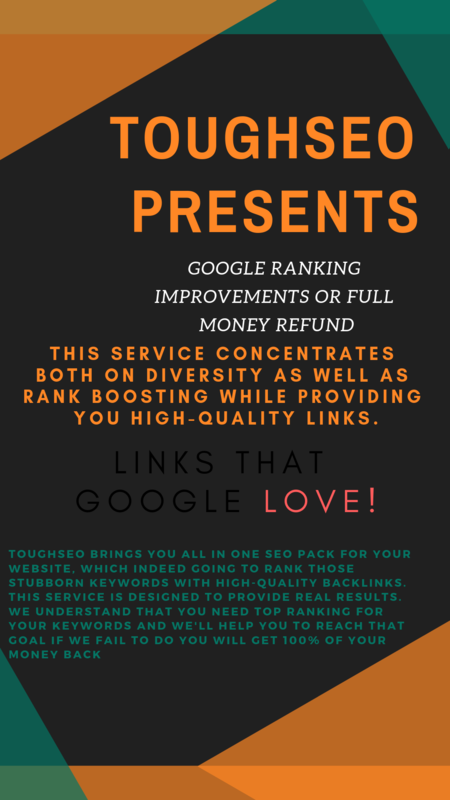 GUARANTEED GOOGLE RANKINGS IN 30 DAYS OR MONEY REFUND** is ranked 5 out of 5. Based on 38 user reviews.